To purchase a fine art photography print, click "Buy" next to any photo in these collections. Click on the images below to see all pictures in each gallery. 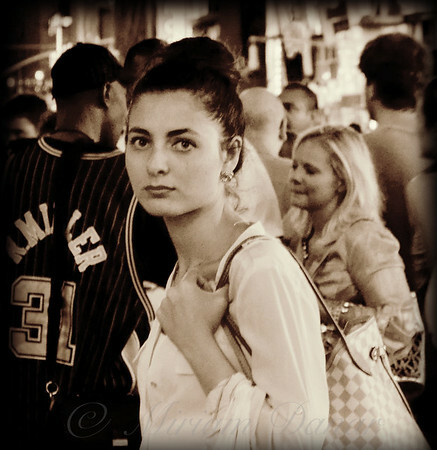 New York's people - as seen on the street, in slices of life. She caught my gaze and wouldn't stop looking. It was interesting, Rich - she was actually quite far away - I cropped in on this to center on her for picture, but for some reason, she looked at me and must have realized I was taking her picture. This is one of several favorites ..each time I come back to it, I'm compelled to believe she was more than happy to pose for you.. She has a presence of confidence and is quite beautiful! !